As a part of my series about “Mental Health Champions” helping to normalize the focus on mental wellness, I had the pleasure to interview John Ackerman, PhD. 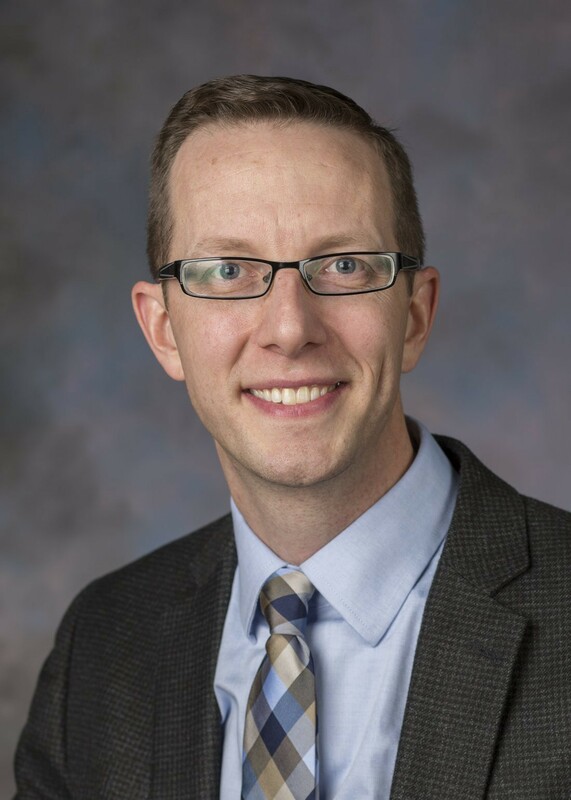 John Ackerman currently serves as the Suicide Prevention Coordinator for the Center for Suicide Prevention and Research (CSPR) at Nationwide Children’s Hospital. 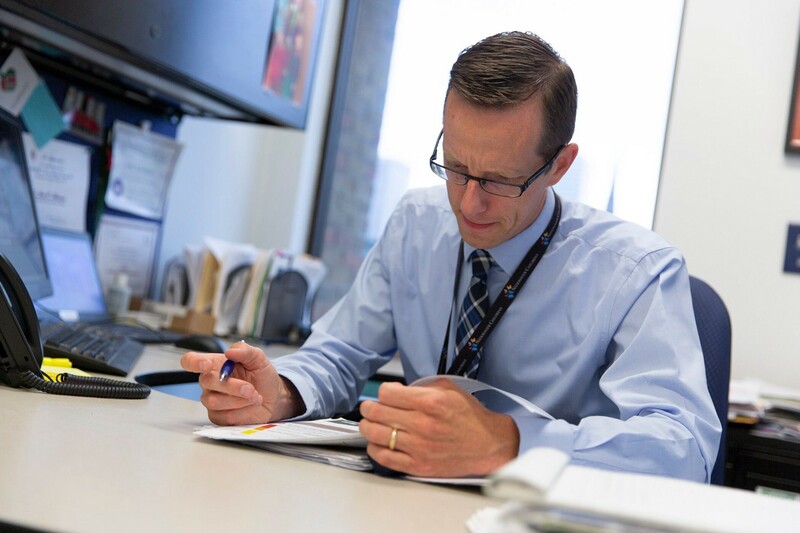 He directs community, school, and hospital efforts to educate others about the risks and warning signs of pediatric suicide. The CSPR promotes evidence-based strategies to support individuals at risk for depression and suicide. Dr. Ackerman and his team are passionate about reducing the devastating impact of suicide on the community. Can you tell us the “backstory” about what brought you to this specific career path? My guiding values are pretty simple: grow in the service of others and use our available science to reduce human suffering. I knew from an early age that I wanted my career to align with my desire to help others, but I certainly didn’t know that I would end up being so passionate about mental health and suicide prevention. These values started at home with a mom who was a nurse and a dad who was a lifelong educator, as well as many family members who chose lives of service. I attended a Jesuit high school and college in which the values of maximizing learning to serve others was central. Subsequently in graduate school, I learned how to treat individuals dealing with mental health differences using evidence-supported practices. The University of Delaware clinical psychology doctoral program ingrained into me that the most compassionate response we can have is one with data supporting our ability to reduce suffering quickly and effectively. My research at that point was aimed at understanding the developmental needs of foster and adopted children, especially those who had experienced early adversity. Back then and still today, I have a goal of meaningful change in underserved parts of our communities by addressing gaps in behavioral health. Kids struggling with depression, anxiety, or suicidal thoughts and behaviors are often pretty amazing individuals who have an illness that doesn’t allow the world, their families, or themselves see how special they truly are and how much they have to offer. Mental health challenges often require those suffering to wear a mask that often becomes a part of the individual’s identity and life experience. The silence associated with mental illness and suicide is deafening — I met with countless children both in therapy and research settings who were in intense emotional pain but refused to tell friends, family, or any other adult for that matter that things were not okay. They thought they were the only ones to feel that awful and “crazy” that death seemed like a better option than life. They also did not have permission in their minds to bring this up to others for fear of judgment or rejection. I recognized that the shame, stigma, and burden faced by families cannot be understated even as our national dialogue on this topic grows. Myths and misconceptions are commonplace: Mental illness = weakness; People who self-injure or threaten to kill themselves just want attention; Talking about suicide increases the risk of suicide; If a person is set on killing themselves, there is nothing we can do about it. My experience and plenty of empirical data suggested these statements were false, but still, the message was not being conveyed to those who most needed to hear it. To me this felt nothing short of a major injustice. It became apparent that although I loved clinical work (and still do! ), these cultural messages need to be changed to impact public health. I have worked harder than I ever have before since taking on the role of Suicide Prevention Coordinator for the Center for Suicide Prevention and Research in the past four years but have never regretted this change in career trajectory. Our team has the tremendous support of forward-thinking behavioral health and hospital leadership which has put the behavioral health of children front and center of its mission which, as a psychologist, could not be more amazing. My talented team works tirelessly in communities and schools throughout central and southeast Ohio to increase awareness and supports around suicide prevention. We partner with our research team to best understand the most effective pathways moving forward. My current work is a nice blend of what my parents were passionate about — my dad was a math teacher and high school principal, and my mom was an emergency room nurse; and now I support hospital efforts to advance behavioral health care initiatives in the schools. I also love to translate science into parent/family-friendly terms. I appreciate the opportunity at Nationwide Children’s to make research approachable and digestible with a focus on concrete action steps that can impact lives. Many of those resources can be found on our 700 Children’s blog. Throughout my education and my career, I’ve had personal and professional experiences that have helped me understand the need for the work that my team does and the resources we try to infuse into the community. I am also blessed to be married to someone with similar values around service and science. Claire is an integrated care psychologist who brings behavioral health treatment into a large primary care setting in Columbus which increases access and reduces stigma for families. Not only is there stigma, but there is also discrimination, which are of course two different things. Stigma is when a group or condition is stereotyped or misunderstood while discrimination is unfair treatment due to a person’s identity. It is alarming that for those struggling with mental health differences, they typically encounter both stigma AND discrimination. It is incredibly frustrating that those who are at highest risk are often treated most poorly in our schools, communities and healthcare settings. Furthermore, despite mountains of research that mental health conditions affect the brain, physical systems within the body, how people perceive the world and connect with others, and how we’re able to enjoy or not enjoy life itself, there is still a sense that they/re not “real.” Because it’s more challenging to see and measure the complexity of the brain and behavior, it somehow becomes less real to people — you can’t see depression the same way you can see a cast on a broken bone, you can’t see anxiety the same way you can see a nosebleed. This is sad, because we have ways to identify and effectively treat many of these conditions which cause a lot of suffering. A lot of people still associate mental illness with having a personal flaw or weakness. In certain communities, talking about mental health is discouraged. However, I am encouraged by the way many kids approach mental health issues today. There’s actually a lot of reduction in stigma in the younger generation. I’m encouraged by their intuitive understanding that it makes little sense to distinguish physical and mental health — both impact each other constantly and a failure to address either will lead to reduced wellness. That’s not to say that stigma doesn’t exist in that age group, but rather that young people are catching onto the mind-body connection more quickly, and are beginning to embrace their own voices when talking about their own experiences. Representation is also huge when it comes to stigma. We’re just now getting to the point where we’re seeing some mainstream representation of individuals struggling with mental health illnesses — athletes, musicians, actors, etc. — they project a comfort or discomfort around mental health, and they make mental health more visible. For a long time, mental health just wasn’t something that was talked about. In the past, if someone was struggling with a mental health condition, they needed to be treated and they could be alienated because of the stigma. Now we understand that a person’s mental health is not a flaw or weakness or a reflection of their character, but instead it’s a challenge that can be managed with the right support and tools, which could involve family support, therapy, medications, etc. We’ve learned a lot more in the last several decades, but we still have a long way to go. Can you tell our readers about how you are helping to de-stigmatize mental illness? Nationwide Children’s Hospital decided to make a major commitment to suicide prevention by creating the Center for Suicide Prevention and Researchin 2015 to address the growing problem of youth suicide both locally and nationally. 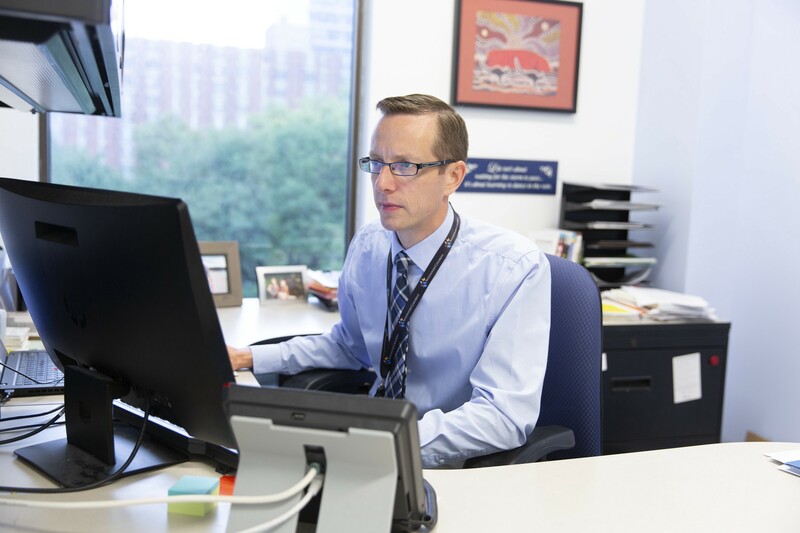 I have the role of suicide prevention coordinator, and oversee a tremendous team of clinicians who specialize in suicide prevention and intervention. Within the center, we’ve expanded the reach of an evidence-based suicide prevention curriculum — the Signs of Suicide Prevention Program (SOS) — to more than 100 area schools, and our goal is to train schools to be able to incorporate suicide prevention into their day-to-day culture in a sustainable way. We want to guide them in understanding suicide prevention and all of its elements more deeply rather than providing one training and leaving. Staff and students ought to feel confident noticing warning signs of suicide and capable of reaching out to those in crisis, knowing what resources are available and how they can access them. I am also part of the hospital’s Zero Suicide effort to ensure that all Behavioral Health staff are comfortable and skilled in identifying and responding to suicide risk in kids with the most current approaches. We’re fortunate that at Nationwide Children’s we have a Youth Psychiatric Crisis Line and skilled clinicians who can meet immediate needs, and we have a lot of community partners dedicated to the same goals of advocacy, education, research and treatment. In 2017, the hospital celebrated the groundbreaking of the Big Lots Behavioral Health Pavilion, which — when finished — will be solely devoted to children and adolescents with behavioral health challenges and illnesses, and The Center for Suicide Prevention and Research will be housed there. Finally, the hospital launched the On Our Sleevesmovement in 2018 to further address the need to break the silence and the stigma surrounding mental health. The initiative emphasizes the immense need to end misconceptions about behavioral health, provides critical education and resources for families and communities, and raises funds to advance research that will continue to improve how we care for children with mental illness. Everything the hospital has done in the last few years regarding mental health was launched because we recognized an intense need in our community and in the country to meet kids and teens where they are, make sure they feel heard, and provide them with the resources and the treatment that they need to thrive. The Big Lots Behavioral Health Pavilion, the Center for Suicide Prevention and Research, and the On Our Sleeves movement were all established because there is an urgent need for research, treatment resources and ultimately for understanding about mental illness and suicide among youth. Throughout my work, I’ve connected with hundreds of young people who just want to feel loved, seen and heard, and who want to live their fullest and happiest lives, whatever that means for them, and I feel that our hospital is taking strides every day toward breaking stigma and raising awareness. There was never just one story that served as the inspiration for all this work. Really, there are so many stories now — fortunately, more and more people have chosen to come forward and talk about the challenges posed by mental illness. We know that sharing stories of those who have struggled with mental health differences or even suicidal thoughts and behaviors can have a significant, positive impact on others who need to hear that they are not alone in their struggle. We have learned that when stories depict that crises can be mastered and that challenges can be faced with a meaningful life on the other side of those challenges, that has actually been shown to reduce suicide risk. This goes completely against a popular myth that talking about suicide can plant the idea into someone’s head. Suicide prevention is not about censorship, it is about promoting meaningful conversation and developing creative, validating solutions. Individually, people can increase awareness of how their own emotional distress unfolds and seek to discover which of the many existing strategies works best for them to cope effectively. It should be noted, however, that coping or reducing emotional distress is only part of the equation. We also need to foster a sense of value and self-worth in our lives and remember that without meaning and purpose, self-care and other interventions won’t be sustained. Keeping people safe should be a bridge to personal meaning making. And this should not be a burden placed on the person who has potentially exhausted most of their resources. We need to share this responsibility and teach people at a young age how they can be there for others who may be experiencing intense emotional distress. We want all people to understand that they’re going to encounter challenges and failures, and they need to be willing to reach out for support. We should all have a plan to manage an emotional crisis before that crisis occurs. Even adults need to model that it’s okay to not be okay sometimes. With suicide prevention, truly everyone has a role — you definitely do not have to be an expert to listen and be present when someone is at their lowest. As a society, we generally need to have increased awareness about the impact that suicide and mental illness has on society and on others. We need to expand the definition of suicide prevention beyond the treatment of people who are at risk because there are a lot of things that can be done outside of the realm of healthcare. For example, equipping the public with information about means safety(i.e., making sure that when a person is in crisis, they don’t have access to the most lethal ways to end their life); supporting schools and primary care settings to identify and link individuals who need support; educating journalists on the best way to report about suicide, because there really is a set of best practicesthat has the power to save lives, as how a story is shaped can minimize suicide contagion for vulnerable individuals and increase awareness overall. And of course, listening to those whose lives have been impacted by suicide through loss or personal experience should be our starting point to all of this. The public needs to know the major risk factors for suicide just as we might learn about the signs of a stroke. Because it’s very difficult to predict the exact moment when a person will make a suicide attempt, especially with kids, prevention strategies like safe storage are an absolute must. Kids in rural communities, for example, are at higher risk of suicide because they have a reduced access to mental health care, increased access to lethal means and a culture of self-reliance (“when something is wrong, it’s my job to fix it”). We need to do a better job of educating our kids about what “being healthy” really means, and emphasizing that mental health is as important as physical health — the two go hand-in-hand. Research on suicide is severely underfunded, and pediatric mental health research is certainly no exception, so if there is one thing the government could do to support those with mental illness, it would be to increase funding. Support received today, while appreciated and important, has candidly been underwhelming — it just does not match the public health need. Creating policies that increase suicide prevention training both in schools and workplaces around would also be a significant step forward. Looking at the bigger picture, it’s important that legislators are making sure that when they talk about parity, their statement is meaningful — you can say “physical and mental health parity exists,” but if insurance companies aren’t paying providers for mental health at the same rates as physical health, then there isn’t really parity. Mental health needs to be as much of a priority as physical health. That’s why our hospital has taken the leap to build the Big Lots Behavioral Health Pavilion, because there is recognition that the need is great, and the resources have to match the need to make a meaningful impact. 1. Spending time with family.I love learning and exploring with my family. I have two young daughters, and spending time with them is so important. Despite it being stressful at times, I can’t think of a greater privilege than being able to parent — helping your kids learn to navigate a very complex world and trying to see the world through their eyes. I try to keep in mind that they’ll only be this age once, and attempt to be as present as possible. I strive to be mindful and not let the nature of the crisis-oriented work that I do come home with me as much as possible. I love to laugh, and although I take my work and the families I support very seriously, I don’t take myself too seriously; humor is a mainstay, “Dad jokes” are my wheelhouse, and my girls already have the eye-rolling to go right along with it. 2. Running.Really, just being active in general but running can reset my entire week. Things like pickup basketball or soccer, going to the gym, hiking and biking… all those things help me take time to pay attention to the outside world, which is really important especially when you spend so much time understanding internal pain. I feel much better and less stressed when I’ve built activity into my week, and running is one specific way that is helpful. 3. Cooking.Candidly, I’m not very artistic, so cooking is a way that I not only get to explore and try new foods, but really it’s a way to express myself. I like doing simple foods really well — I’ll make my own pizza doughs and sauces, I like to do wings. I like to be connected to food, I feel that it gives me a better appreciation of health. As a family, we value food and eating together, and that also increases the amount of time I get to spend with family too. Self-care is usually better when you combine things like relaxing or being active, creative, or social, so when I cook withmy kids is time that I appreciate even more — though cleanup takes longer! 4. Exploring cultures.As a family we prioritize learning about cultures, reading about those who approach the world differently than us, and whenever we do things like that there’s a lot of conversation about it. I want to instill the value of exploring and asking questions about how and why people do things without rushing to judgment. I think that is undervalued today. We are not the best, but we always try to do our best in service of our values. Values are shaped by culture, so why wouldn’t we want to learn about the many ways that people live? Ideally, that would be through travel but with my kids being on the young side it has been tough to pull that off. 5. Advocacy.We are all less stressed and healthier when we’re focusing outside of ourselves. It is why I got into the field that I’m in, because I want to use what I’ve been given to provide for others, and advocacy is a way to break down some of the barriers that others encounter day-to-day. It’s rewarding to know that even if something isn’t benefiting you, it can be life-changing for someone else, whether that’s your own child, an entire group of people, etc. I really view mental health as social justice issue, and it’s important for me to help people who don’t have the same advantages get to a point where their opportunities aren’t undermined because of a biological and/or environmental issue that isn’t their fault. I believe in promoting equity. 6. Expressing gratitude.There is lot of research that shows that taking time to consider what you’re grateful for and expressing gratitude to others builds relationships and human connection. That is also true in suicide prevention — building hope and connection is one of the most important things you can do. Appreciation for someone and whatever part of the journey they are on goes a long way. So, I do make a point to express gratitude whenever I can, to my family, my colleagues, my friends, etc. Other resources — 700 Children’s Blog, On Our Sleeves, organizations like the American Association of Suicidology, the American Foundation for Suicide Prevention, the Society of Clinical Child and Adolescent Psychologyof the American Psychological Association, Effective Child Therapy, Anxiety Canada, Info About Kids, and phone apps like MY3, Mood Tools, Headspace and Virtual Hope Box. I’m also active on Twitter (@JohnAckerman78). The Nationwide Suicide Prevention Lifeline (1–800–273-TALK (8255) and the Crisis Text Line (reach it by texting “START” to 741–741) are available 24/7 and immensely vital resources. In the end, though, it’s really the people who inspire me most — there is such a long list of people who have invested in me and taught me how to think about these complicated public health issues in a way that can be translated into meaningful change. My mentors — both at work and in my own life — have shown so much compassion themselves, and they’re very good at what they do. There is so much still to do and I look forward to tackling those challenges with talented colleagues in the coming years.